Obituary for Perry Franklin Crabill Jr.
Perry Franklin Crabill, Jr., 97 of Frederick County, Virginia, passed away at home of natural causes on March 7, 2018. He was born September 9, 1920 near Waterlick, Virginia, at his Grandfather Barr’s home in Powell’s Fort Valley, the first of Perry F. Crabill, Sr. and Ethel Barr Crabill’s six children. Perry grew up in Northeast Washington, DC, and graduated from Eastern High School in 1938. He became an amateur radio operator with the call letters W3HQX after graduating. Perry attended Bliss Electrical School in Takoma Park, Maryland, graduating 1939. Perry’s first job was in 1939 as an electrician’s helper with the US Engineering Department, which was supervising the construction of Washington National Airport on the Potomac River above Alexandria. He worked the midnight shift on the project, caring for electric generators floodlighting excavation and fill areas, resigning in November 1939 to accept a Central Office craftsman’s job with C&P Telephone at its Downtown Dial Center in Washington, DC. During WW-II Perry was classified as 1-A by his draft board, but received three six-month deferments because of the Downtown Dial Center’s importance to the federal government’s war effort. On January 22, 1944, Perry married 2nd Lt. Harriet Frances Moist of the US Army Nurse Corps, who was stationed at Walter Reed Army Hospital in Washington. The wedding was held at the Church of the Brethren in Lewistown, Pennsylvania, Harriet’s home town. Perry and Harriet lived in Washington, DC, until September, 1944, when he was drafted in the Navy as a Radio Technician Trainee because of his amateur radio experience. After Boot Camp at Great Lakes Naval Training Station in Illinois, Perry attended a series of Navy radio schools. He graduated from the Radio Materiel School at the Naval Research Laboratory in Washington, DC, as an Electronic Technician’s Mate 2nd Class in January, 1946. His training included radar and sonar, along with transmitters and receivers for voice and Morse code, and he was the third man in his class. Upon graduation Perry was sent to the Algiers Naval Base at New Orleans, Louisiana, a radio maintenance facility for US Navy installations in the Gulf area. In March, 1946, Perry was discharged from the Navy. He returned to his previous job at C&P Telephone, living in the house that he and Harriet had bought in Prince George’s County, Maryland while he was at the Navy radio school in Washington, DC. In 1948 Perry transferred to the C&P Radio and TV Center. This location was the control point for local wire channels for radio and TV broadcasting and mobile radio service, and for temporary microwave relay of remote TV pickups. In 1949 this center handled President Truman’s inauguration, the first time that this event had been televised. Later in 1949, Perry was transferred to work on the new A4A four-wire toll switching system being installed in Washington. Perry was promoted 1953 to a management job in C&P Engineering to work on Transmission Engineering for TV and radio services. He was responsible for planning the local network of 50 temporary TV channels in 1957 for President Eisenhower’s second inauguration. Other duties included clearing cases of noise and interference to telephone systems and designing special circuits. In later years Perry became involved in systems engineering for high-speed digital channels and other services for various three-letter US Government agencies, as well as the White House. Perry retired from C&P Telephone on September 9, 1981, at the age of 61, after 41 years and 9 months of service. He and Harriet moved to the Winchester area on July 31, 1982, to live happily ever after. 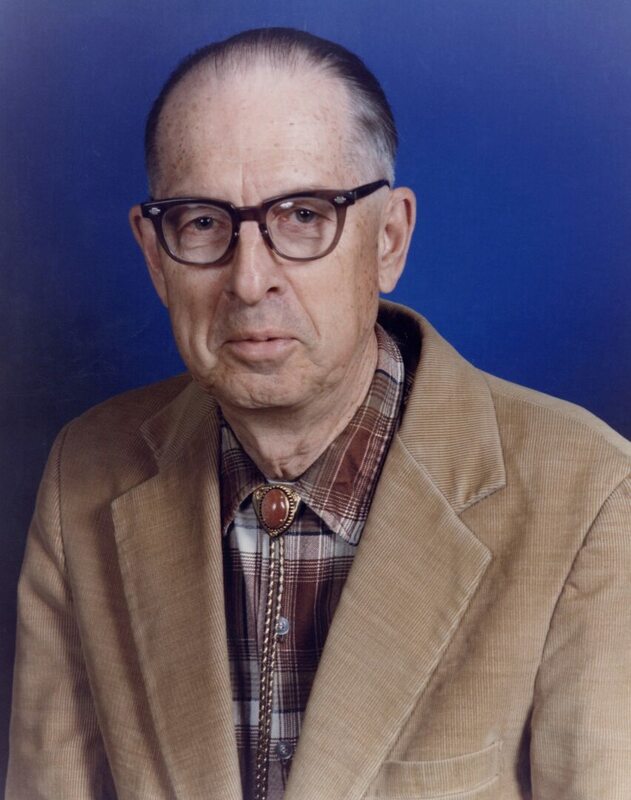 His hobbies included amateur radio, photography, and astronomy. Perry enjoyed going on group hikes organized by Frederick and Clarke Counties, and made many friends on these outings. He has collected stories of 293 of these hikes from 1983 to his last hike in 2005, when he was 85. They are in three-ring binders labeled Hikes, Nature Walks, and Other Outdoor Adventures of Perry F. Crabill, Jr.
Perry and Harriet enjoyed attending local theatrical performances at the Winchester Little Theater, Wayside Theatre, and Shenandoah College, which later became Shenandoah University. They also went to productions at the Old Opera House in Charles Town, West Virginia. Perry was fond of Bluegrass music and attended with Harriet many of the Wednesday night Bluegrass concerts held by Red & Murphy Henry in the basement of Dalton Brill’s barbershop on Winchester’s Old Town Mall. They also attended Handley Library’s Noon Music concerts over the years. The Lunch Bunch program in Winchester, Virginia, was started in 1983 by Perry. It was intended to give local amateur radio operators, their wives, and friends an opportunity to get together for informal luncheons on a regular basis. The first luncheon was attended by six people, who decided to meet on the second and fourth Wednesday monthly. Before long attendance averaged thirty people, including residents of Maryland, the Washington, DC Metropolitan area, West Virginia and even Pennsylvania. Lunch Bunch is now only on second Wednesday, with attendance averaging a dozen or more. Perry wrote about these and their other doings in a journal that he had begun in Maryland as soon as he had retired. It expanded in scope as he and Harriet began their new life in Virginia. This journal was a fairly detailed account of their activities, and twice a month installments were sent to family members. He kept writing his journal as along as he was able to use his computer. The paper archive of the journal is intended to be donated to the Stewart Bell Jr. Archives of Handley Regional Library in Winchester. Perry enjoyed writing, and frequently contributed Letters to the Editor of The Winchester Star. He also had sixteen Slice of Life stories and fourteen Piece of Mind stories published in The Star when those features were running. In addition, the nationally syndicated newspaper columns Hints from Heloise and Dear Abby have printed a number of his contributions. For eight years he edited a monthly newsletter for the Blue Ridge Life Member Chapter of the Telephone Pioneers. Perry was a life member of the American Radio Relay League, Telephone Pioneers of America, Quarter Century Wireless Association, and Radio Amateur Satellite Corporation (AMSAT). He was also a member of Preservation of Historic Winchester, Winchester-Frederick County Historical Society, and previously belonged to the Alexander Bell Pioneer Repeater Association, National Radio Club, Shenandoah Valley Amateur Radio Club, Shenandoah Astronomical Society, Blue Ridge Fine Arts League, and the Hottel-Keller Memorial. For many years Perry took daily morning exercise walks carrying a hand-held amateur radio, talking to friends who were commuting to work. Eventually these conversations included trivia questions, known as Questions of the Day. These QODs attracted considerable interest and covered a variety of subjects of Perry’s choosing. He carried on this activity from October 1993 until December 2007, operating from his home station when he had to give up his morning walks because of aging. His last QOD was #1854, and he has saved printouts of all of them. Another of Perry’s interests was dining out, especially as restaurants opened up in the area with new ethnic cuisines as well as the usual varieties. He began writing reviews of his dining experiences and submitting them to Wincfood.com, a local on-line restaurant directory; and over a hundred of his reviews have appeared in these listings. Perry also distributed the reviews to family members and friends as E-mail attachments. Although Perry didn’t claim to be a gourmet, his dining-out advice was sought after by friends. Perry was able to drive until about halfway into his 96th year, when he became handicapped from a fall and had to use a walker. He still enjoyed eating out and shopping when his daughter Susan or a friend would take him with his walker. This enabled him to continue with writing and distributing his restaurant reviews. Surviving are four children: David W. Crabill of San Jose, California; Martha A Crabill, of Williams, Arizona; Susan F. Crabill, of Winchester, Virginia; Richard A. Crabill, Gwynn Oak, Maryland, and brothers Norman L. Crabill of Newport News, Virginia, and Jack A. Crabill, of Mitchellville, Maryland. Also surviving are six grandchildren and three great-grandchildren. Perry was preceded in death by his parents, his wife Harriet, his sister Anne Crabill Glick, his brothers Roger D. Crabill and Ward B. Crabill, his son Peter M. Crabill, and his daughter Virginia R. Crabill. A secular memorial service will be held at the Jones Funeral Home, 228 South Pleasant Valley Road, Winchester, VA 22601, on March 24, 2018 at 3:00 p.m. Memorial contributions may be made to the Calvary Church of the Brethren’s building fund at 578 Front Royal Pike, Winchester, Virginia, 22602, in honor of the memory of Perry’s wife Harriet Crabill, an active and involved member of the church for years. On line condolences may be left a www.jonesfuneral homes.com. To send flowers to the family of Perry Franklin Crabill Jr., please visit our Heartfelt Sympathies Store.